Two parliamentary questions have been tabled to the European Commission on the implementation of the Primary Immunodeficiencies Principles of Care and on Newborn screening for Severe Combined Immunodeficiency (SCID) as a result of the successful 6th PID Forum organised by IPOPI on the Principles of Care, on 6th December in Brussels. The Portuguese Members of the European Parliament, José Inácio Faria (liberal group) and Carlos Zorrinho (social-democrat group) have been collaborating with IPOPI to prepare these questions addressed to the European Commission (EC) with the aim of raising awareness on primary immunodeficiencies. 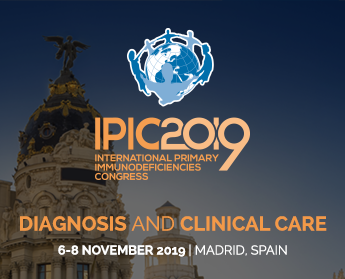 The first question on the PID Principles of Care seeks to introduce the document to the EC, looks for its institutional endorsement and request that future action in the field of rare diseases and PIDs takes into account the recommendations contained. The second question tabled by the Members of the European Parliament calls on the EC to push for the development of European guidelines on newborn screening for rare diseases, including SCID. The two politicians call for the European institution to support SCID newborn screening programmes across the European Union. The European Commission is required to answer these questions within the next 6 weeks after their publication. IPOPI will follow the European Commission’s replies and will report on them.